How long have they been in business? Longevity satisfies people and lets them know that the firm is not some fly-by-night company likely to cut or go out of business overnight. The number of years they have been in business reflects on their knowledge about the customers and the niche. It is important that you feel comfortable and a transparency should be maintained. There should be updates on progress and about any set backs in the project. The services might be perfect but if you are not properly informed and involved in the process then there is no point. The staff at Contractor Marketing 911 always keeps its clients up-to-date on project statuses. Most prospects solely rely on assurances, but the really savvy entrepreneurs definitely demand to see concrete results.  Contractor Marketing 911 has a history of getting results and a portfolio of projects for reference.